When you visit Maldon you will find this ancient Essex town, with its oldest part sitting high on a hill overlooking the Blackwater estuary, has a rich and varied history just waiting to be explored. 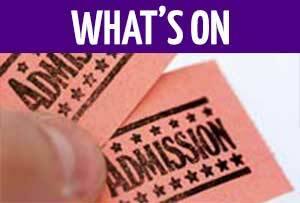 THE MALDON DISTRICT offers a wide range of places to visit and activities to enjoy. 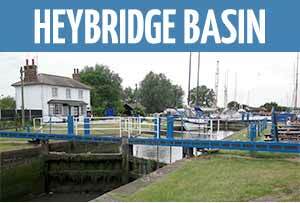 The town of Maldon itself is especially famous for the Hythe Quay, home to many of the remaining Thames Barges. 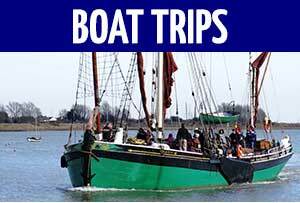 A variety of short trips are available on these ancient craft and details can be found by clicking here. 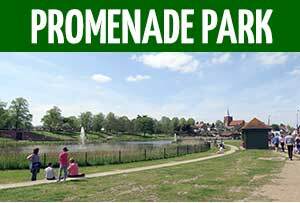 Promenade Park was originally created on the sloping bank of the River Blackwater over one hundred years ago and is popular with visitors and residents alike. This park is the centre of summer fun in Maldon with playgrounds and various children's activity areas including the very popular Splash Park. You can even hire a beach hut for the day. It is also the location for the famous Maldon Mud Race and other annual and special events. Maldon's High Street has many unique shops and places to eat and drink including a selection of independent tea shops and micro pubs selling locally brewed beers. "Retailers of fine jewellery.Family business established over 15 years in Maldon.Platinum, Gold, Silver.Diamonds and Gem stock.Giftware.Jewellery repairs and modifications.Watch batteries, straps and repairs.Cad design bespoke jewellery manufacture"
Being one of the oldest recorded towns in Essex, a walk up the High Street to the crest of the town reveals many buildings whose brick facades conceal medieval timber frames. At the junction of the High Street and Market Hill stands the tower of St Peters which is attached to the building erected in 1704 by Dr Thomas Plume to house his famous library and the Maldon's grammar school. The school has long since moved and the ground floor now contains the Maeldune Centre which displays the Maldon Embroidery depicting life in the town from the Battle of Maldon to the present day. Further along is Maldon's Moot Hall, built in the 15th century for the d'Arcy family and most recently used as the council chambers, magistrates court and police station. Another few yards and you will reach the 13th century All Saints' Church, famous for it's trianglar tower and Washington Window. Maldon's Market Hil is lined with more timber framed buildings including the old workhouse and leads steeply down to Fullbridge at the crossing of the River Chelmer. This area was once a thriving port and Maldon's wharves were kept busy unloading ships laden with timber and other materials. It is also the home of the old Maldon railway station building which has survived despite the railway being closed in 1964. 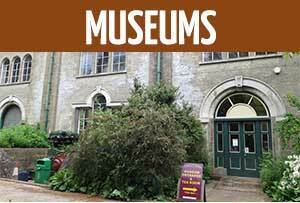 At the end of Station Road you will find the Combined Military Services Museum containing a large collection of weapons and armoury and other displays. Looking for somewhere to eat in Maldon? Perhaps you fancy sitting inside a cosy cafe enjoying tea and cake or an outside table on the water's edge eating fish and chips. 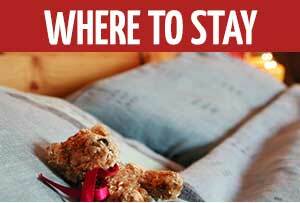 You will find loads of tea rooms, restaurants and pubs in Maldon by clicking here.